Moments of inertia are requirements for all track simulation software. In order to maximize the investment in your simulation software, accurate MOI measurements are required inputs. Where to locate the large mass components are oftentimes dictated by the regulations of the sport, NASCAR does not allow mid-engine cars for instance; however, there are still areas for creativity. How much does moving a smaller part affect the polar moments of inertia? Is making a part out of composite worth it? 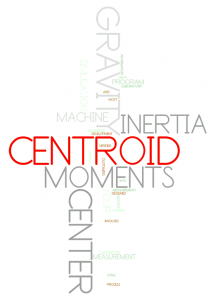 With the Centroid rig we have streamlined the process of measuring center of gravity and moments of inertia. Our sophisticated balance, coupled with real time force measurements allows us to provide calibrated results. For accuracy and repeatability information see our Tech Specs Page.